As soon as you pull up to the Woodway Manor you may think you have crossed the pond to jolly old England. Nestled in a park-like setting this grand home is over 5,000 square feet of impeccably detailed architecture and design. 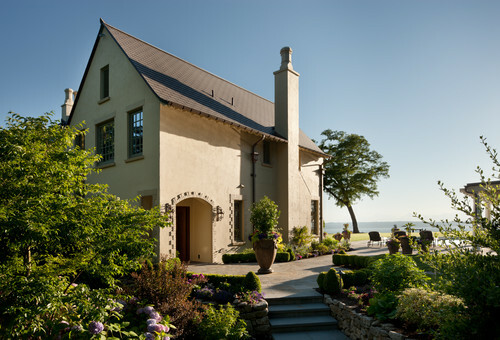 Through an extensive home restoration and addition, Woodway architects Curtis Gelotte and Eric Drivdahl give new life to this historic home. Steep roof lines and leaded glass windows lend an air of authenticity to this historic home restoration. 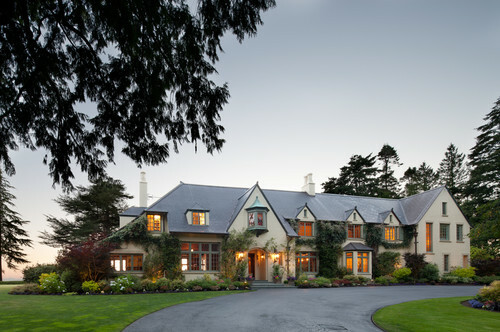 The main entrance is understated and feels more like a country cottage than a grand estate. Details such as the leaded glass windows lend an historic feel to the property while the landscaping would make any English gardener proud. 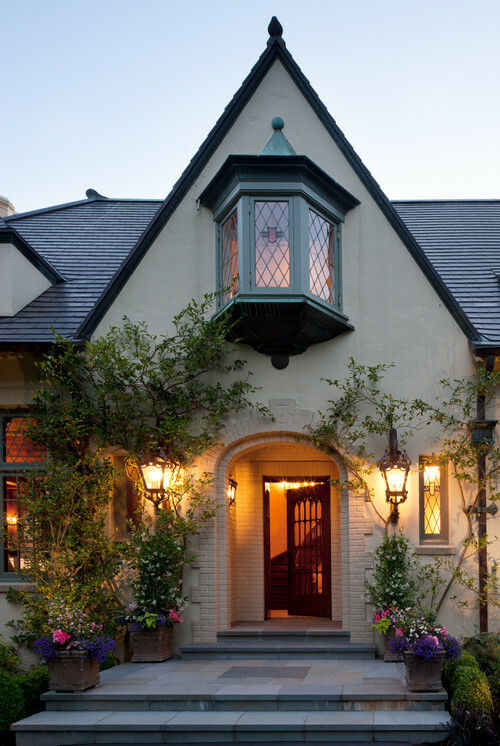 Woodway architects Curtis Gelotte and Eric Drivdahl craft a warm, inviting entrance in this historic home restoration. The home also pulls influences from other European countries. This ample side patio feels more Mediterranean than English, perhaps due to the fact that the British weather does not dictate the necessity for such a sun worshiping space. 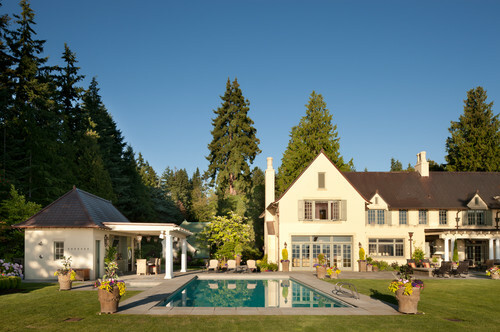 Another element that is not normally found at an English manor is this stunning pool and cabana. It just goes to show that styles and influences can be combined to create something that is more than the sum of its parts. You may be dreaming of a home with a certain style but also wishing for elements not normally associated with that style. The creative and experienced architects of Gelotte Hommas can work with you design a home that has the style you want with the elements you need.